Australia international Phil Hughes died on Thursday, two days after being hit by a cricket ball while playing a professional match for his South Australia side in Sydney. 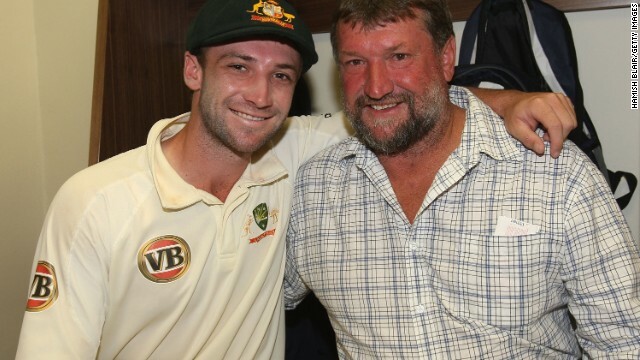 Hughes, whose mother and sister were present at the Sydney Cricket Ground when he suffered his devastating blow, celebrates victory with father Greg following his Test debut with Australia in 2009. 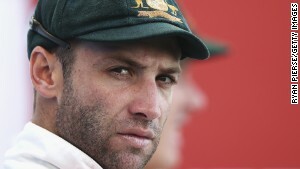 Hughes' international career suffered its ups and downs, with the batsman dropped during a disappointing Ashes series in England in 2009. He rebounded, most notably in 2012, and he was believed to be a week away from an international recall when playing the fateful match against former side New South Wales in November. 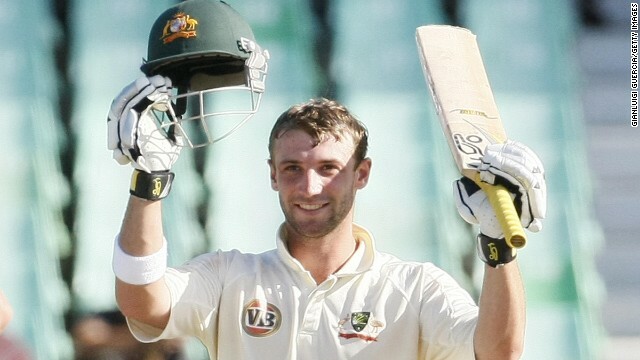 In January 2013, Hughes became the first Australian to make a century in his maiden one-day game. 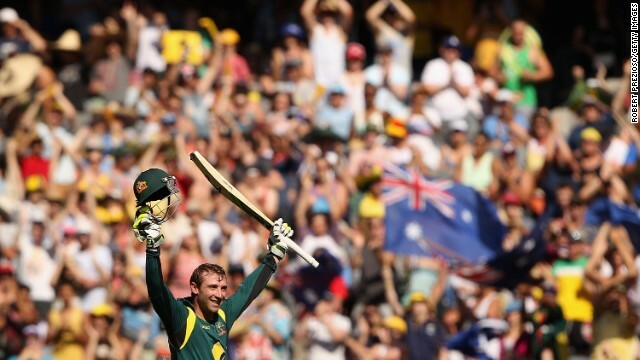 Against Sri Lanka in Melbourne, he made 112 runs from 129 balls. The batsman was also capable of keeping wicket, doing so in a Test match against Sri Lanka in 2012. 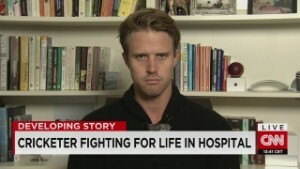 (CNN) -- If you fall off while riding a bike, get back on it as soon as you can. That's what conventional wisdom suggests. So what would be the advice to a cricketer who has inadvertently killed an opponent while bowling a short-pitched delivery? According to one former England cricketer, it's to deliver exactly the same ball. And that's what happened when Australian Sean Abbott returned to action, bowling competitively for the first time since delivering the 'bouncer' that resulted in the death of Phillip Hughes late last month. The New South Wales (NSW) player on Tuesday came on at the 12th over to applause from the small crowd at the Sydney Cricket Ground (SGC) -- the same venue as the November 25 incident -- in the first session of a domestic four-day match against Queensland. The over included a bouncer, his fifth ball. Abbot went on to take two wickets and NSW bowling coach Geoff Lawson praised the 22-year-old's resilience. "He's practiced well, he's looked good but you never know what's underneath the surface with young guys," said Lawson. 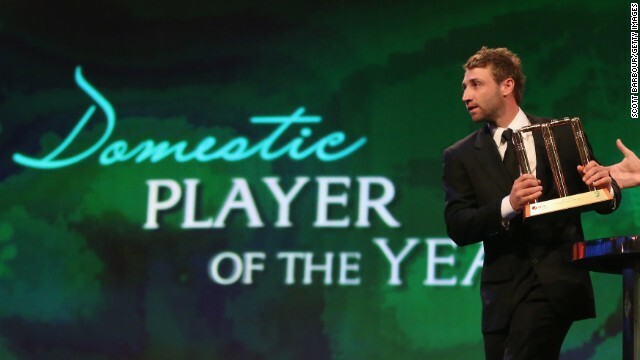 "But the proof is in the pudding -- he got onto this field and he did the business. He's a young guy on the way up and he played like it today so I guess his mindset is a pretty good one." 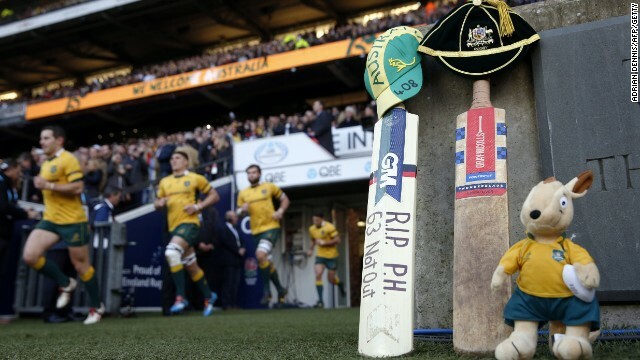 New South Wales players had black armbands on, in memory of Hughes. 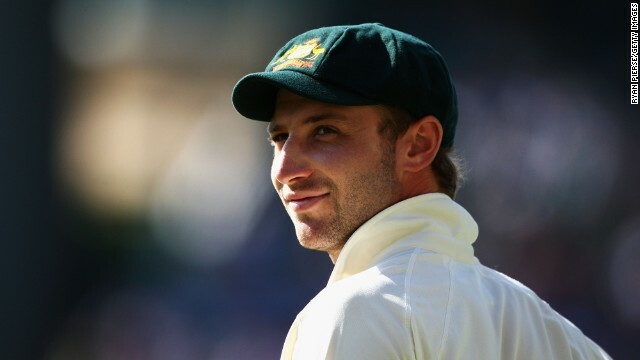 "Abbott is doing the right thing by getting back on the pitch as soon as possible," Matthew Hoggard, who played for England between 2000-2008, told CNN prior to the start of Tuesday's game. "If, in his first over, he can bowl a bouncer -- just to get rid of the stigma -- then he should. "It would help get the horrible memory out of his mind." "The longer he goes on without bowling a bouncer, the worse it will get. He needs to get back to bowling like he did." The Australian Test team also took to the field competitively, as the postponed First Test against India also began on Tuesday in Adelaide. Prior to the game, players and coaching staff from both sides assembled on the field to honor Phil Hughes. Hughes was named as the 13th man for the match. 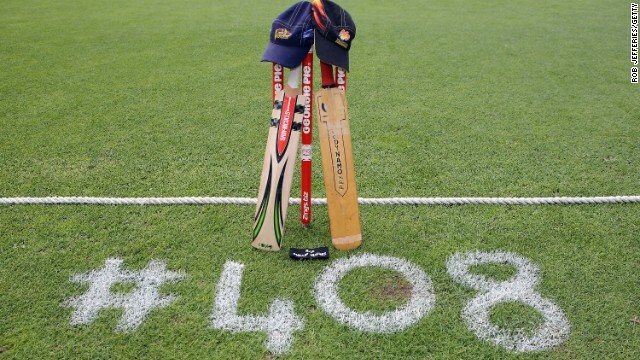 A tribute by former Australian cricket captain and legendary commentary Richie Benaud played out followed by 63 seconds of applause. 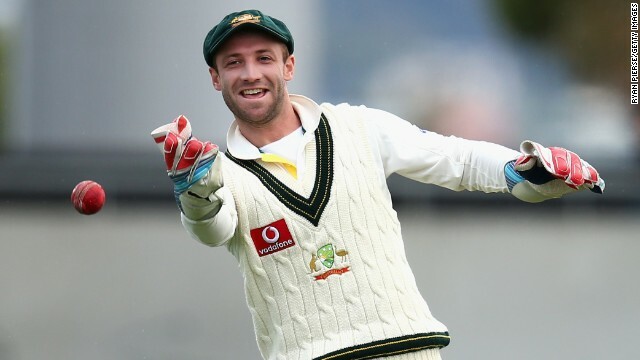 Hughes, who had been tipped to earn an international recall for the Test, had made 63 runs when he received the delivery that shocked and rocked the cricketing world. 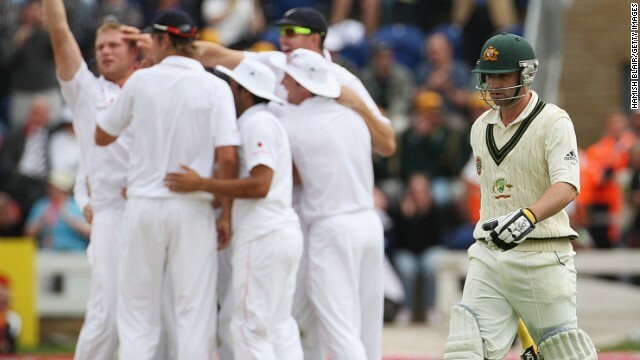 The Australian players all wore Hughes' Test cap number, 408, on their shirts as well as black armbands. 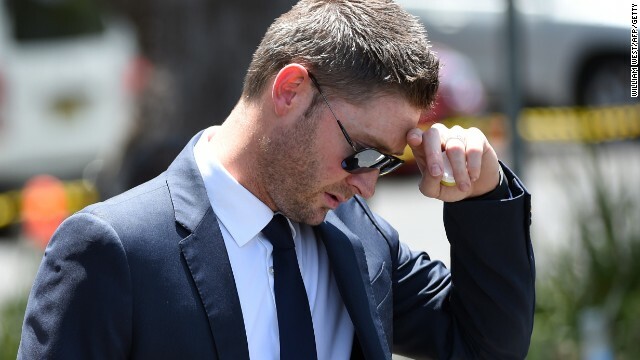 In the build up, one of Australia's lead bowlers has said he will not be changing his approach against India, following an incident that has been frequently been described as 'freak' by those within the game. 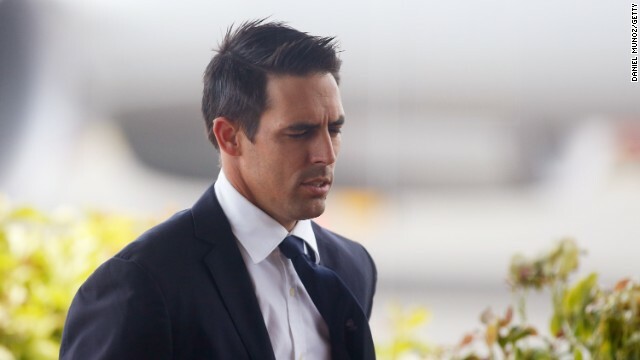 "I've been bowling very aggressive for the last 18 months and I'm not going to change that," Mitchell Johnson told reporters. However, the paceman was left in a more quizzical mood when asked how he would react if one of his short-pitched deliveries were to hit an Indian batsman. "I'm not sure," he replied. "It might be (a) different (reaction) this time." Hughes' domestic team, South Australia, took on Tasmania in Hobart. 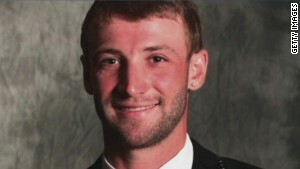 It was the first time also his former teammates had taken to the field since his death. 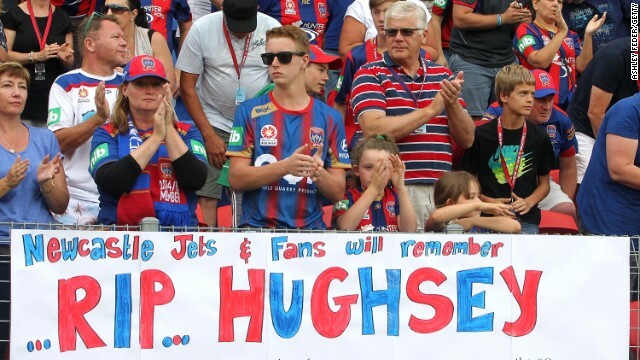 Both teams paused for 63 seconds before the start of play to remember Hughes. 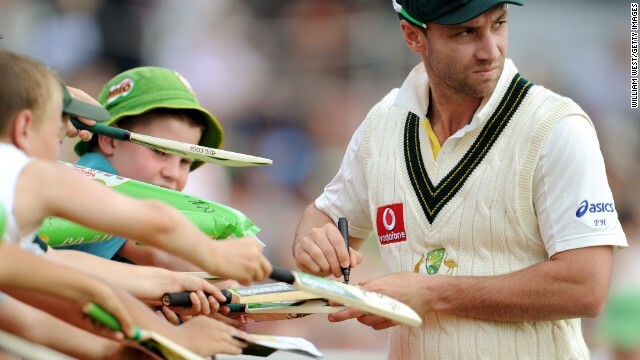 According to local ABC media, the South Australian playets had "PH 612" etched on their shirts, in reference to Hughes' South Australian cap number. A bouncer is an aggressive delivery, pitched short and fast with a good ball rearing up at the batsman's upper torso and head. 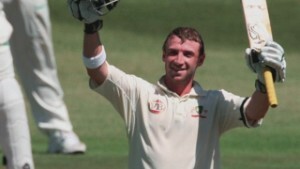 Abbott's ball to Hughes hit the batsman on the back of the head -- Hughes slumped to the floor and lost consciousness seconds after he was hit near his left ear. 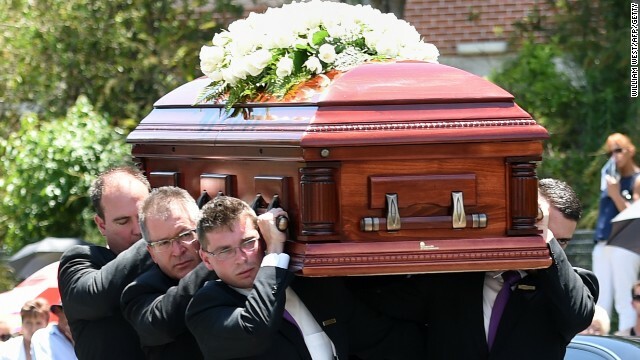 He was stretchered off the ground, put into an induced coma at hospital and and later died. Abbott has received nothing but support from the cricket family across the globe but Hoggard hopes it can go one step further on Tuesday. Now retired, the former bowler believes the onus is on NSW's opponents Queensland to help the 22-year-old through his mental battle especially as his return to the game is at the same venue as the Hughes incident. 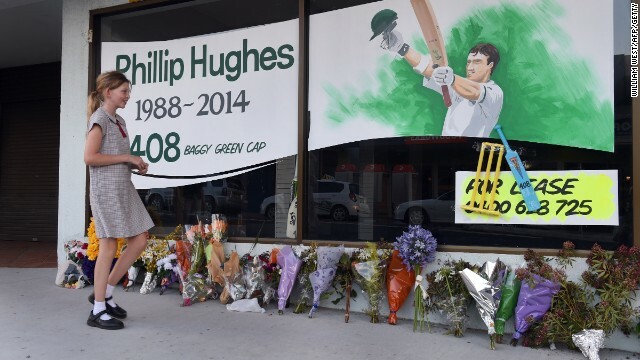 "To be stood at the wicket and run over the same spot where your friend died makes it doubly hard," opined Hoggard. 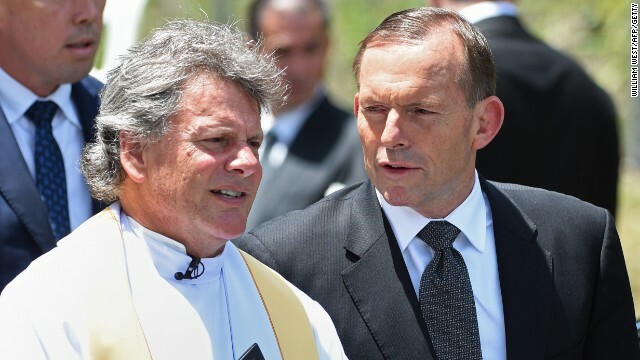 "The opposition has a big part to play as they need to tell Abbott to be himself and to bowl the short ball." "Bowling bouncers is within the laws of the game and they are part of a bowler's armory, so you have to bowl short pitch. 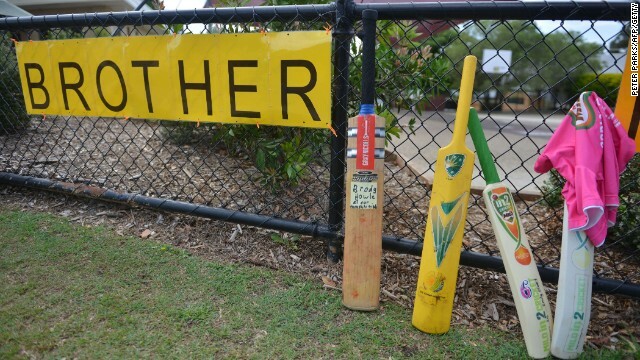 "I'm sure Phil Hughes would not have wanted those laws to change." Yet it's not just Abbott that Hoggard is worried about, since his teammates were bystanders to one of the most appalling incidents in cricketing history. 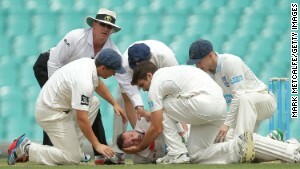 After the impact of the ball severed a vertebral artery, prompting a massive bleed into Hughes' brain, a number of New South Wales players -- Abbott included -- rushed to support the batsman's head after his collapse. "They are all in the same boat," said Hoggard, who shed a tear at Hughes' death despite not knowing him. "To have been holding their friend in their arms after the incident and then to find out later that he died, it would affect anybody. "It's down to personality as to how they cope."